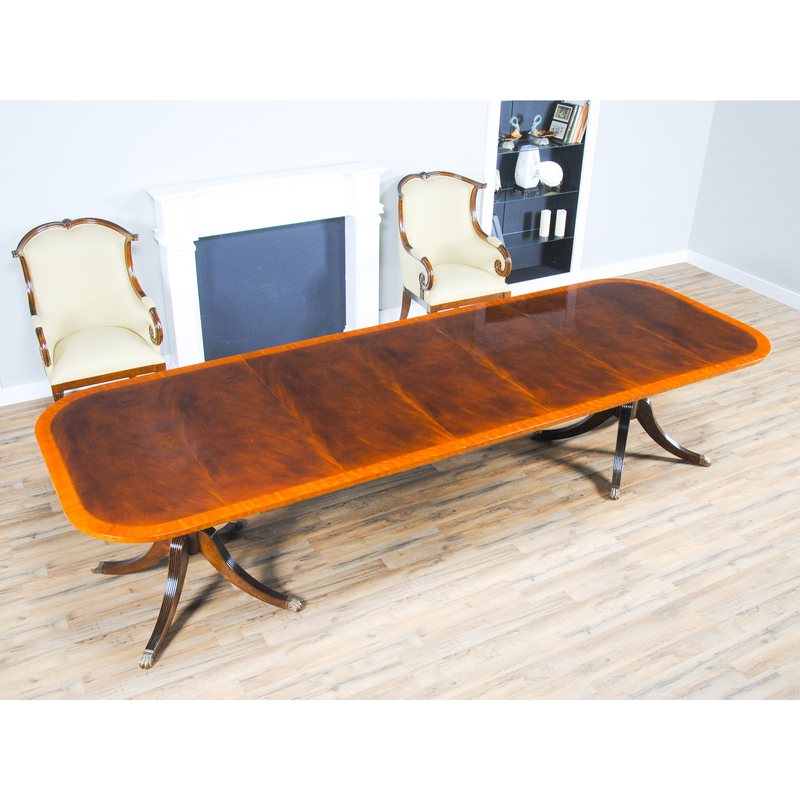 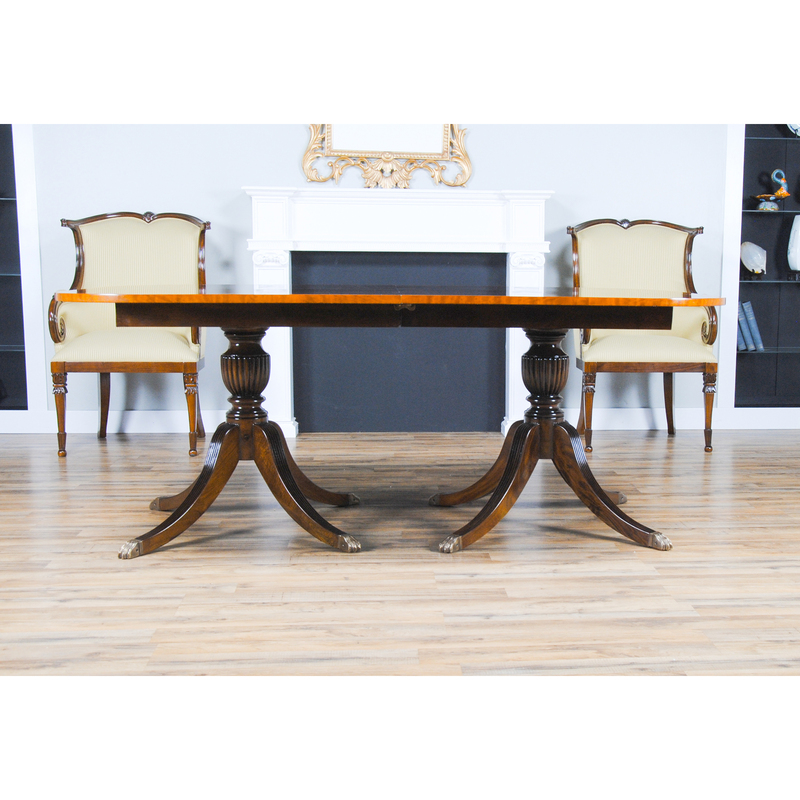 The Niagara Furniture version of a Large Hepplewhite Dining Table. 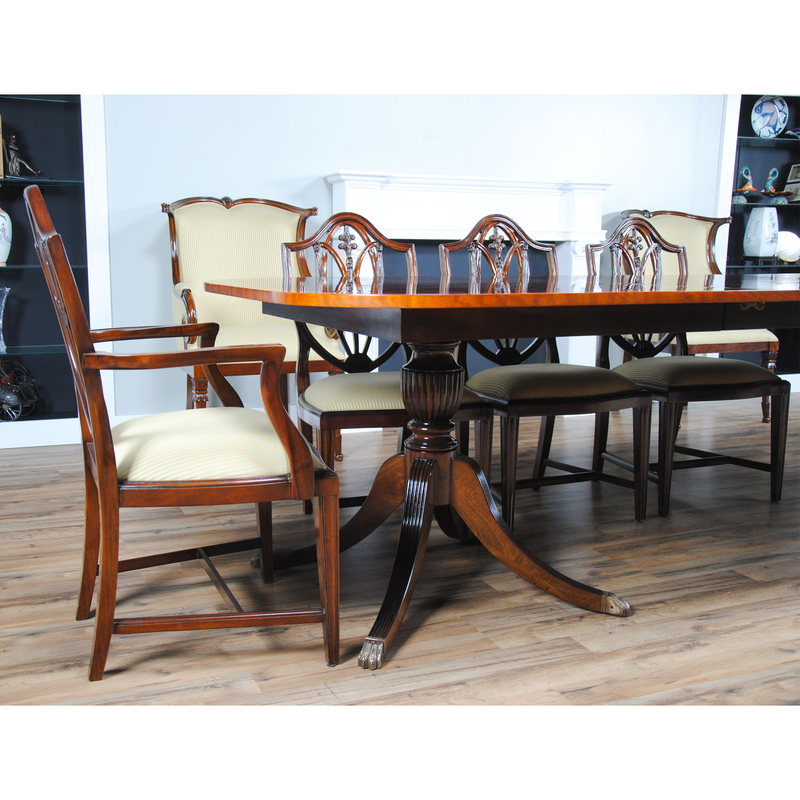 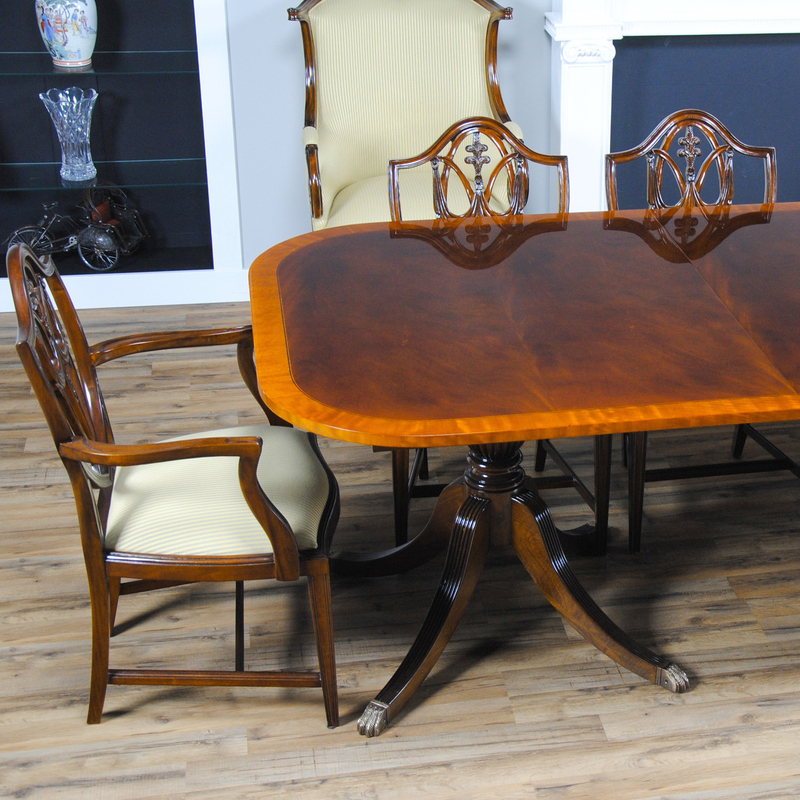 This dining table has a lot of functional features that combine to give it great appeal. 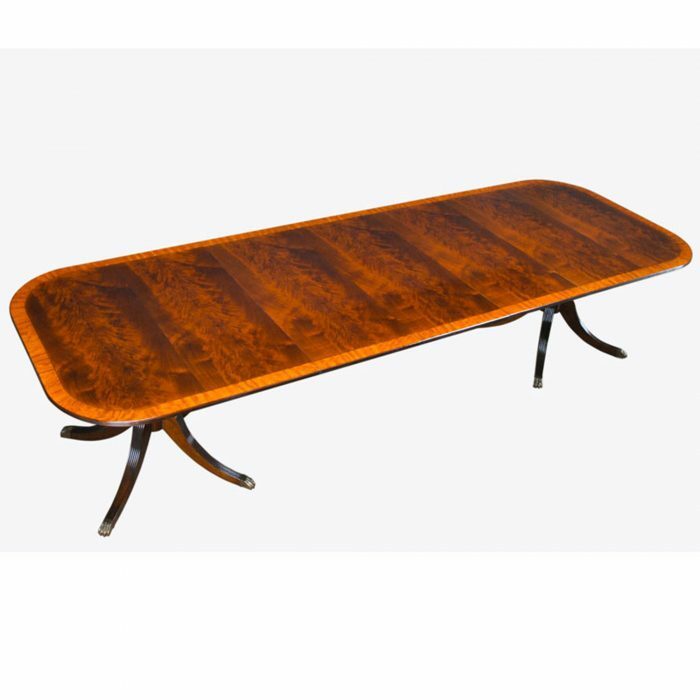 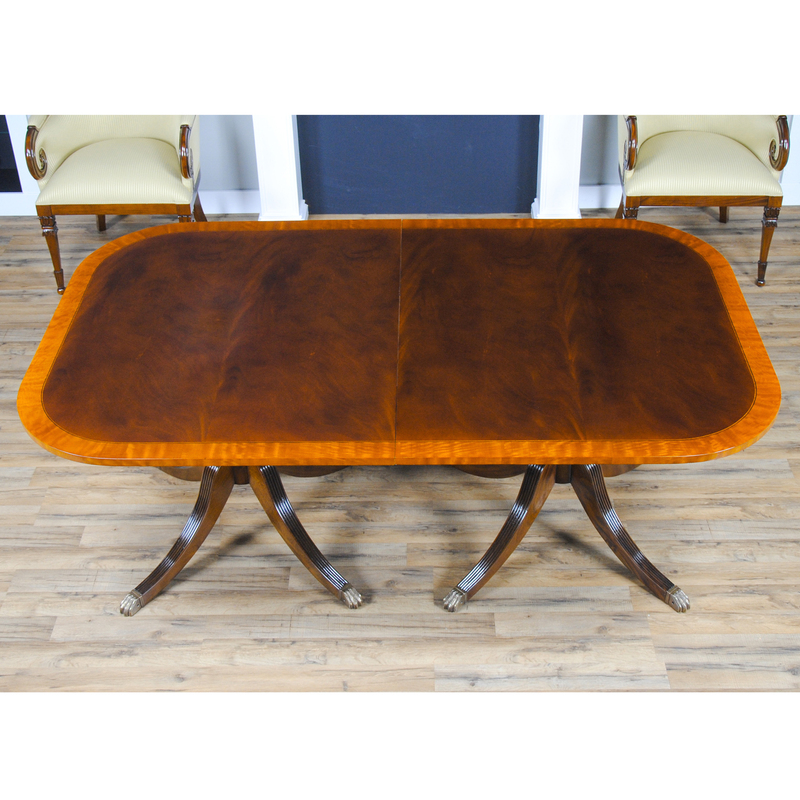 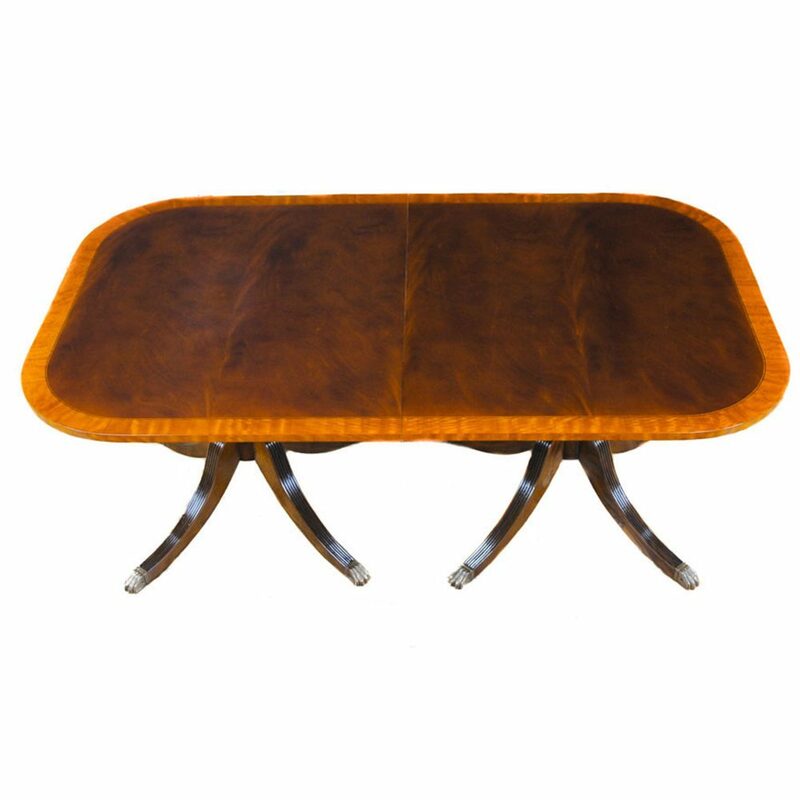 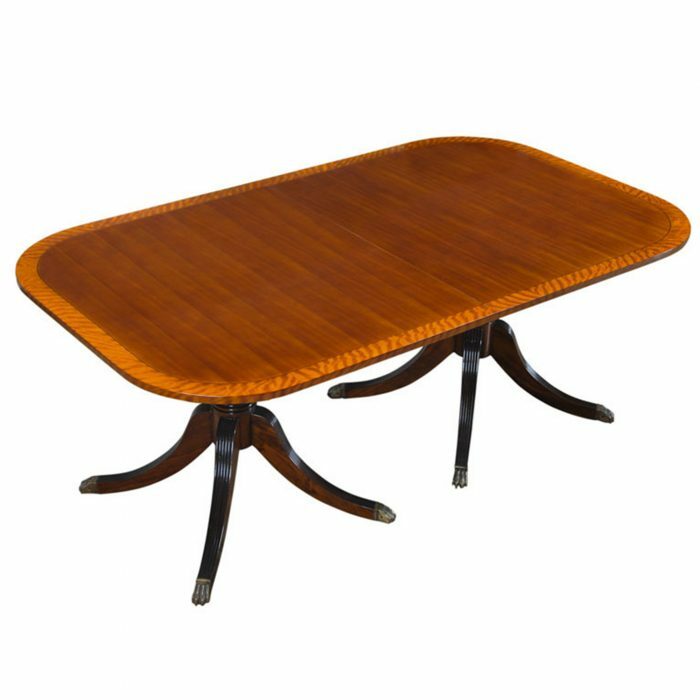 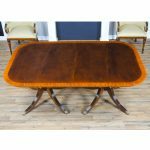 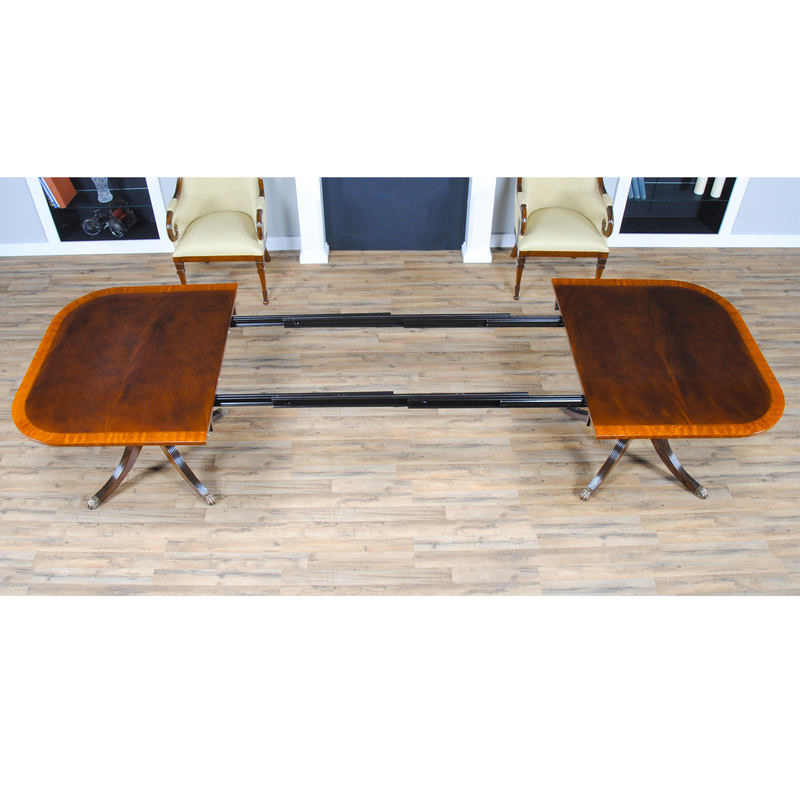 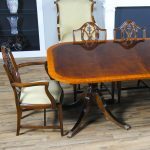 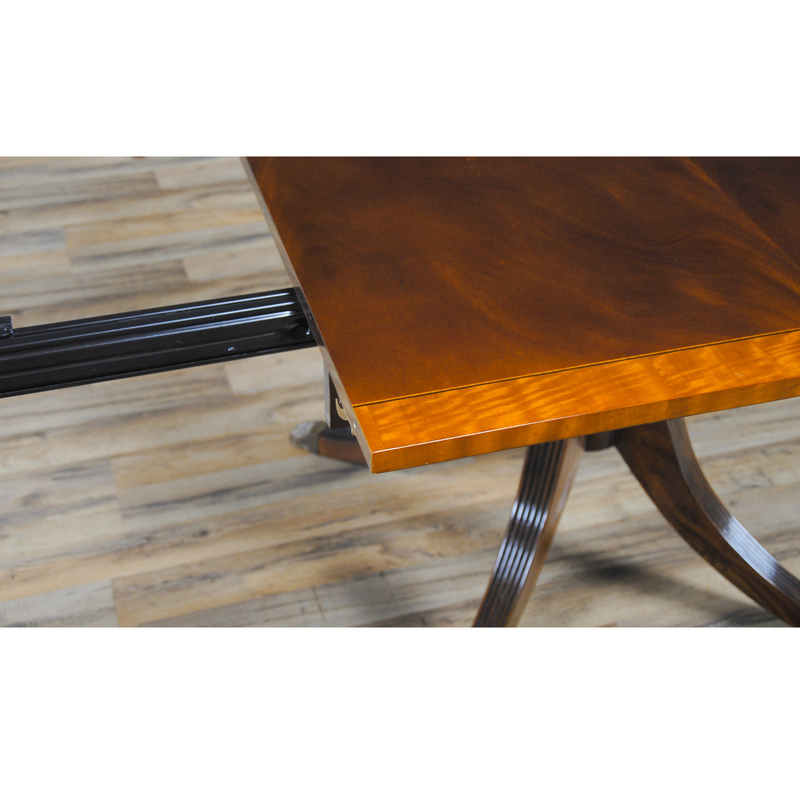 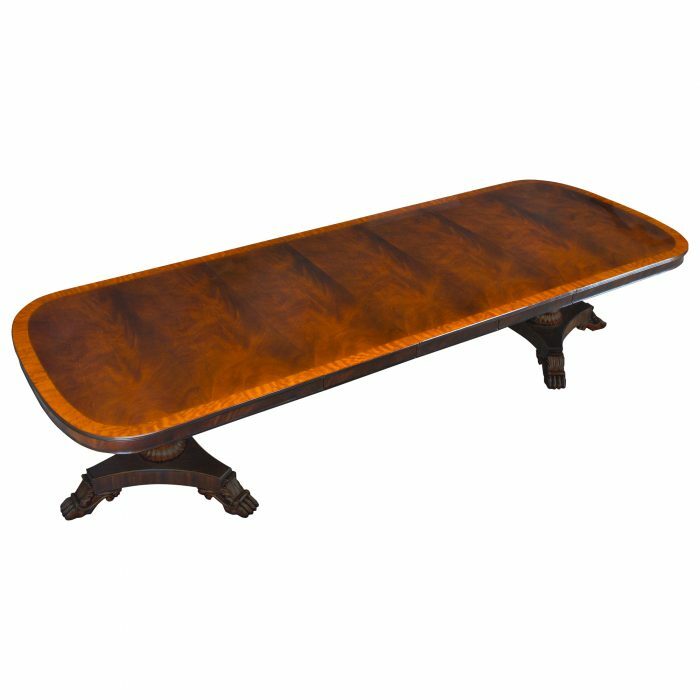 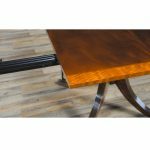 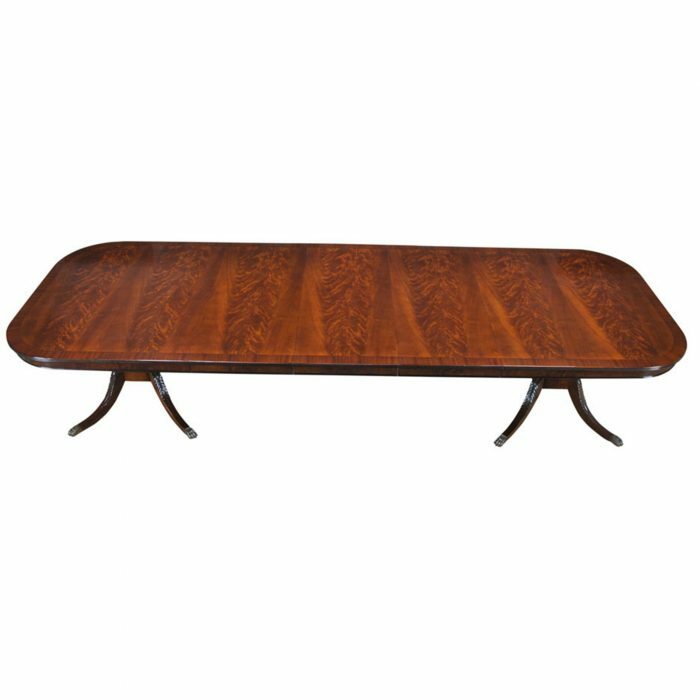 A reeded solid mahogany edge surrounds the table top and then flows into a wide satinwood banding before meeting with the field of the table which is created from the finest mahogany veneers. 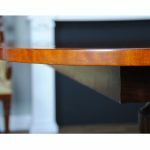 Below the table top of our Large Hepplewhite Dining Table the generous apron gives the table top depth as well as serving to help hide the American made metal table rails below. 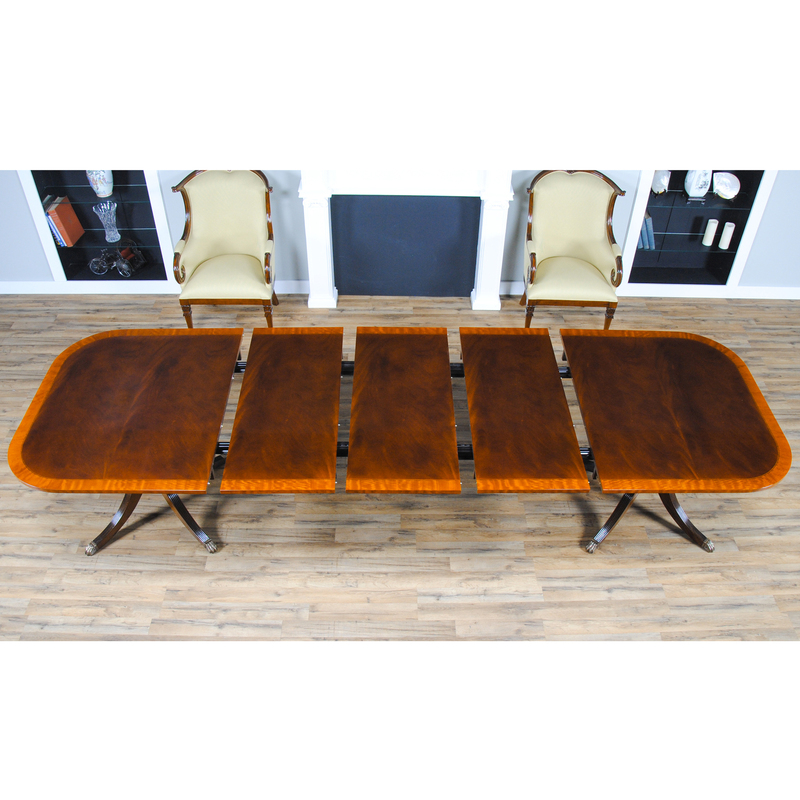 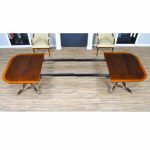 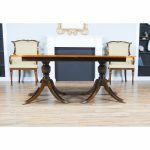 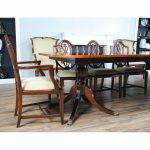 Closing to as little as 79 inches this table extends with the three leaves in place to a length of 138 inches making it versatile and suitable for even large gatherings of up to twelve people depending on the size of the chairs.